Uniting a roster of authors chosen from wide-ranging disciplines, this study is the first to examine the influence of Disneyland on both our built environment and our architectural imagination. Tracing the relationship of the Disney parks to their historical forebears, it charts Disneyland's evolution from one man's personal dream to a multinational enterprise, a process in which the Disney "magic" has moved ever closer to the real world. 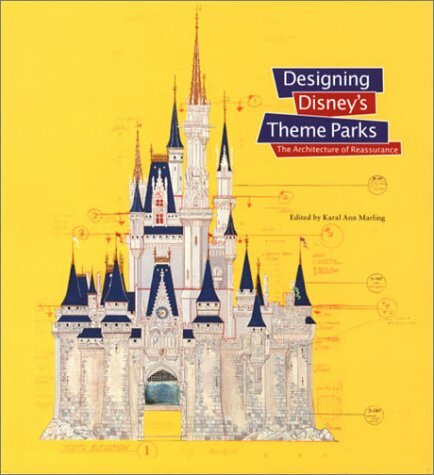 Editor Karal Ann Marling, Professor of Art History and American Studies at the University of Minnesota, draws upon her pioneering work in the Disney archives to reconstruct and analyze the intentions and strategies behind the parks. She is joined by Marty Sklar, Vice Chairman and Principal Creative Executive of Walt Disney Imagineering, historian Neil Harris, art historian Erika Doss, geographer Yi-Fu Tuan, critic Greil Marcus, and architect Frank Gehry to provide a unique perspective on one of the great post-war American icons.